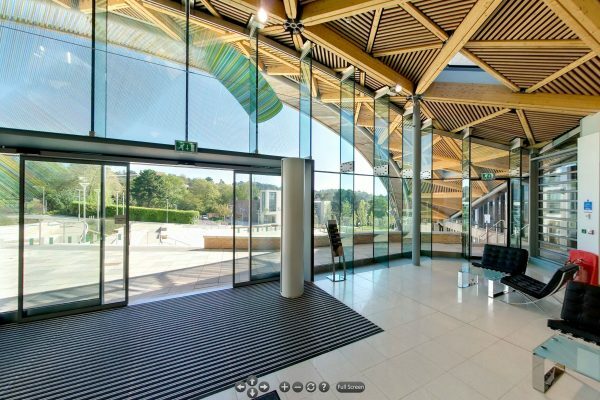 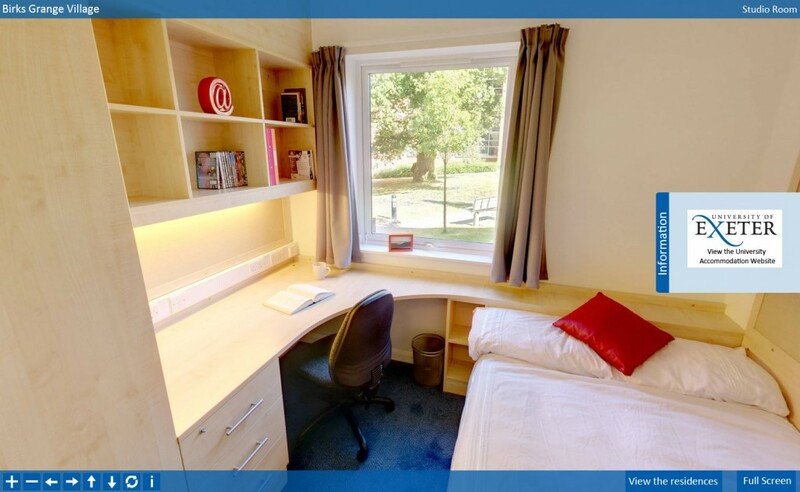 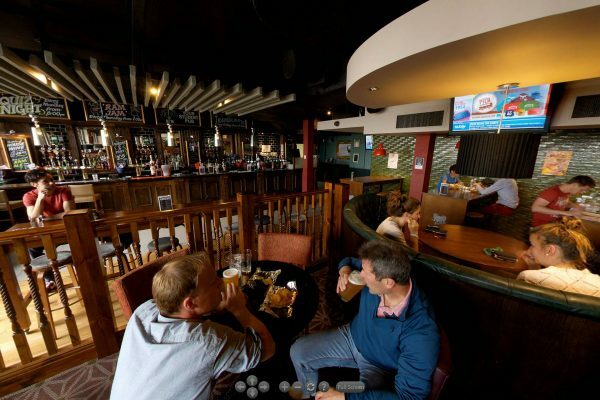 I have been producing spherical 360vr photography and virtual tours for the University of Exeter since 2005, with hundreds of individual 360vr images. 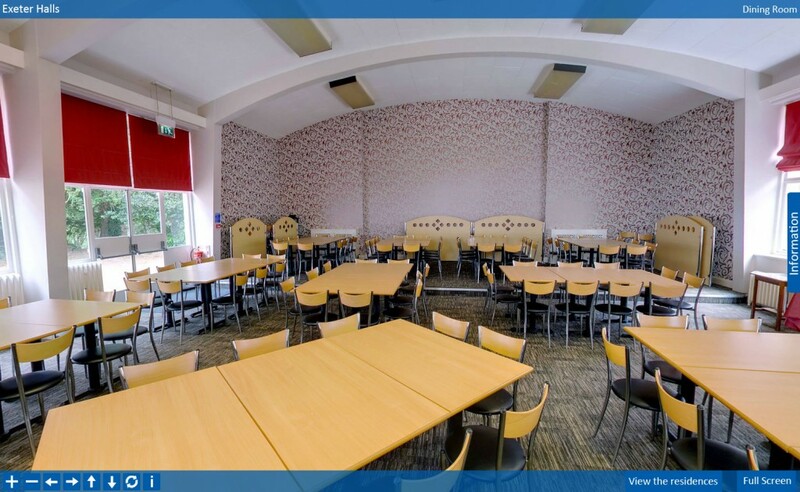 These images are a great asset to the university providing them with a high quality visual representation of various parts of their campuses. 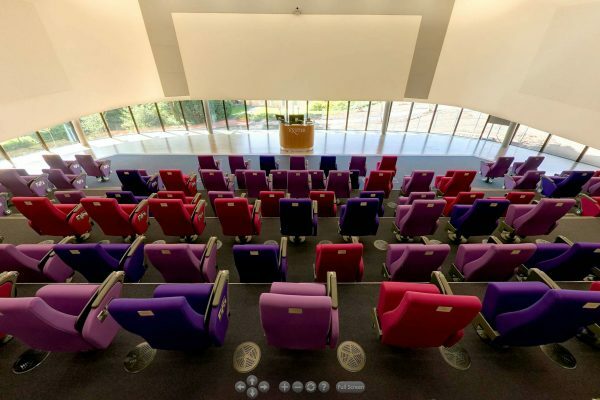 A number of commissions for the University have been singular 360vr images which they have integrated with their own systems rather than Virtual Tours. 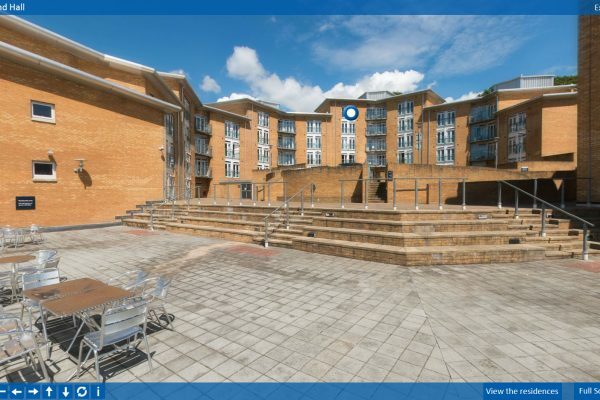 You can view some of these here, Virtual Tour examples can be seen below. 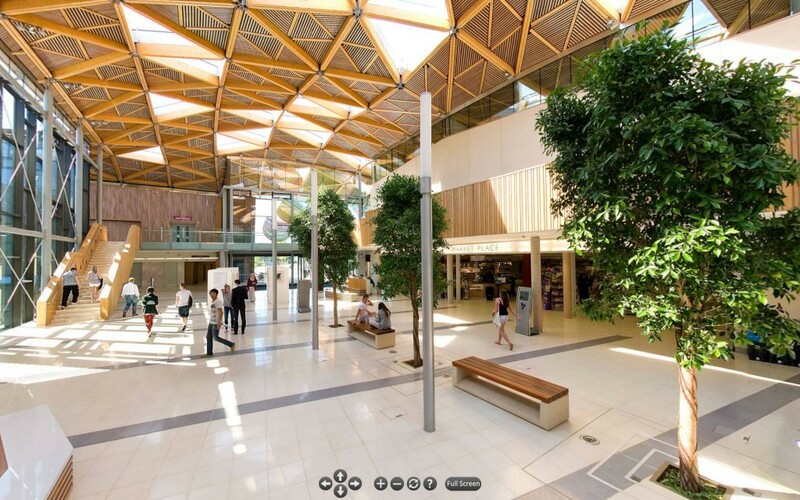 One of my latest projects from the University of Exeter, a major update of their old 360vr photography bringing it up to date with many new images and with the ability to run on touch screen devices as well as desktop. 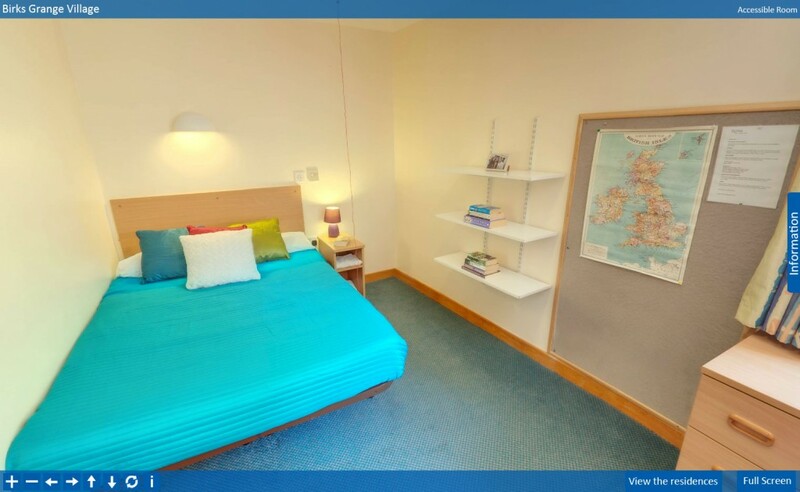 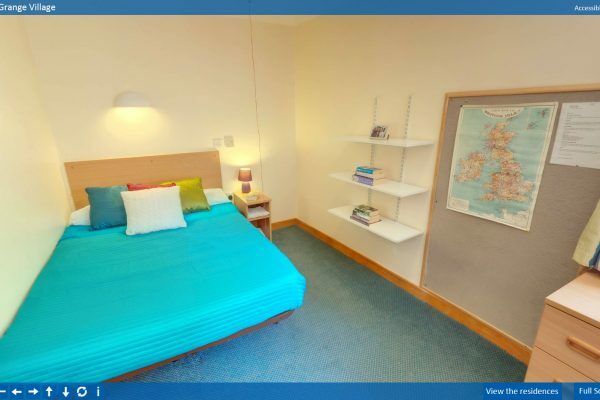 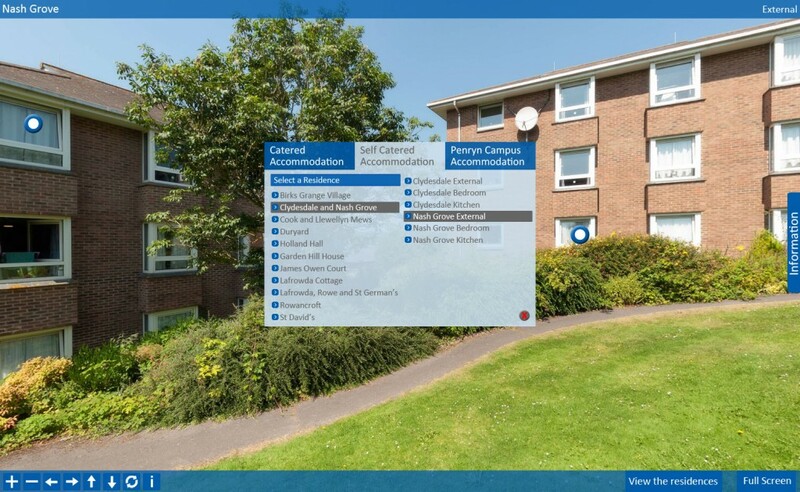 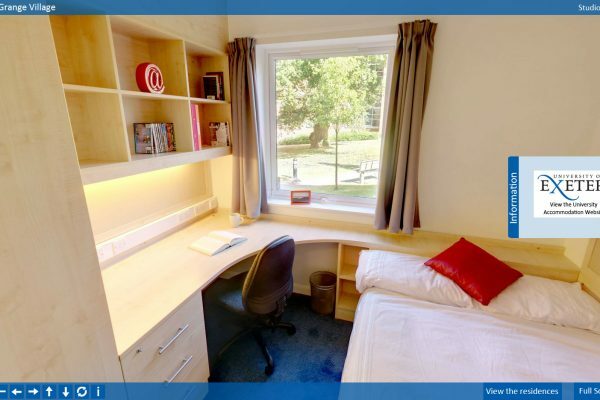 The tour interface allows for easy navigation between the various accommodation at facilities at the university under 3 headings, Catered, Self Catered and Penryn. 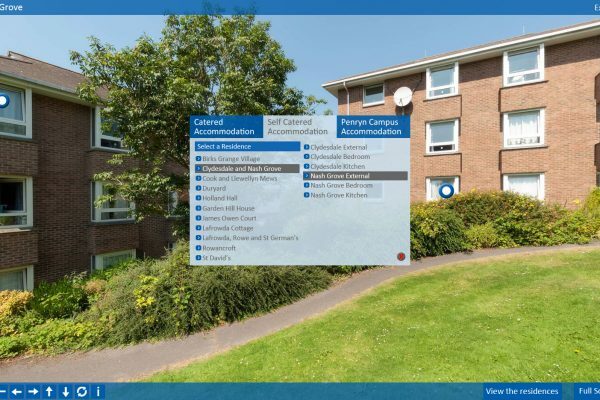 Once an accommodation type has been selected a menu system is displayed giving access to the residences and their rooms & facilities. 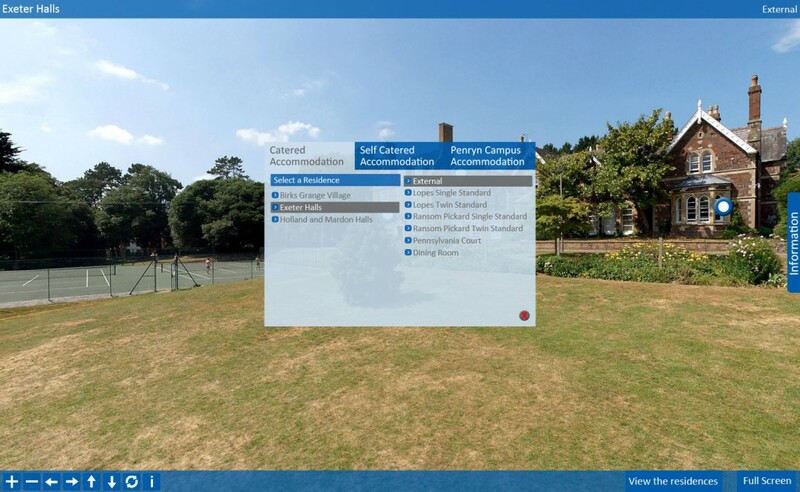 Users can also navigate the tour via hotspot within each of the 360vr images, alongside these are information and photographic hotspots showing facilities such as en-suite’s, utility rooms and hallways. 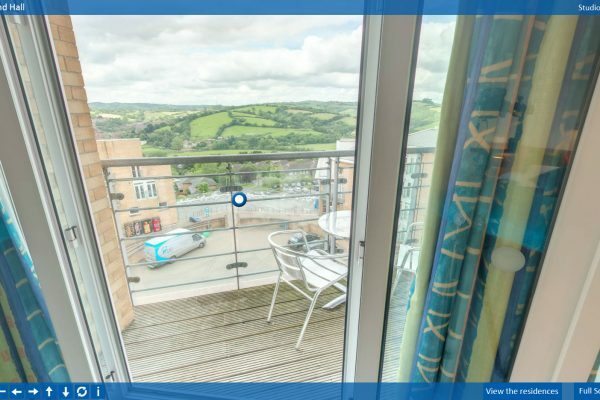 To the right of the Virtual Tour navigation skin there is a pull out information tab linking the tour back to the web page relating to the image currently being viewed. 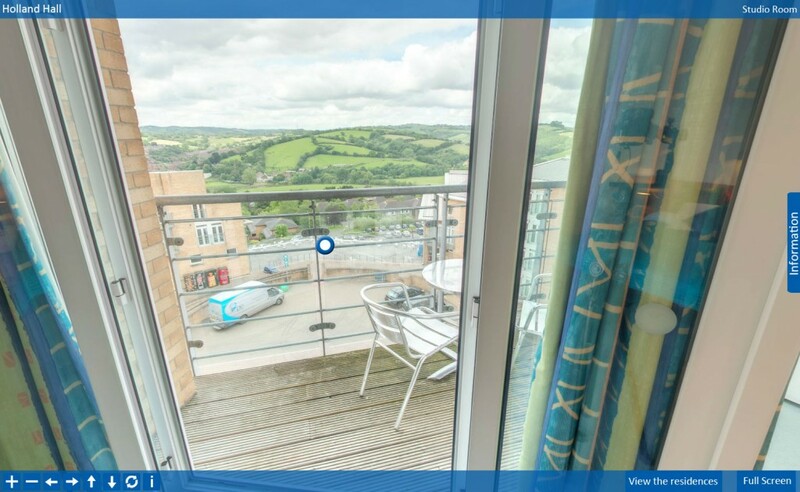 A lot of time has been spent photographing the locations within the Virtual Tour, processing them and building the interface. 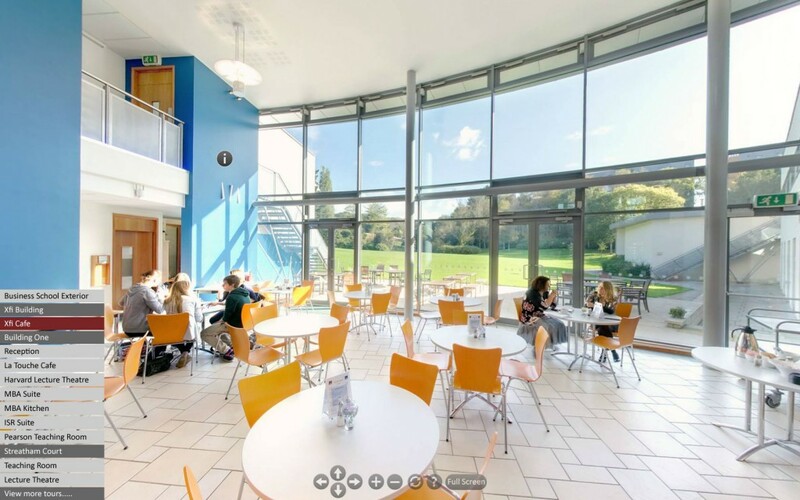 The tour will be a valuable asset to the University, it will improve the visitor experience on their website greatly and hopefully save the staff time on questions about the interiors. 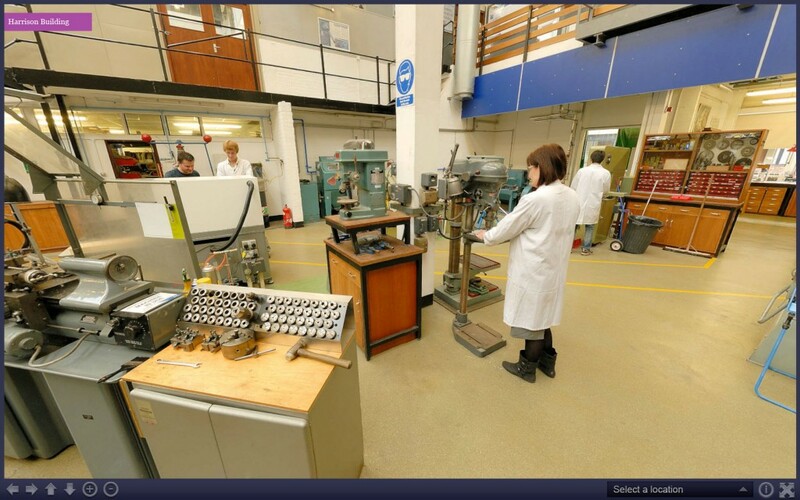 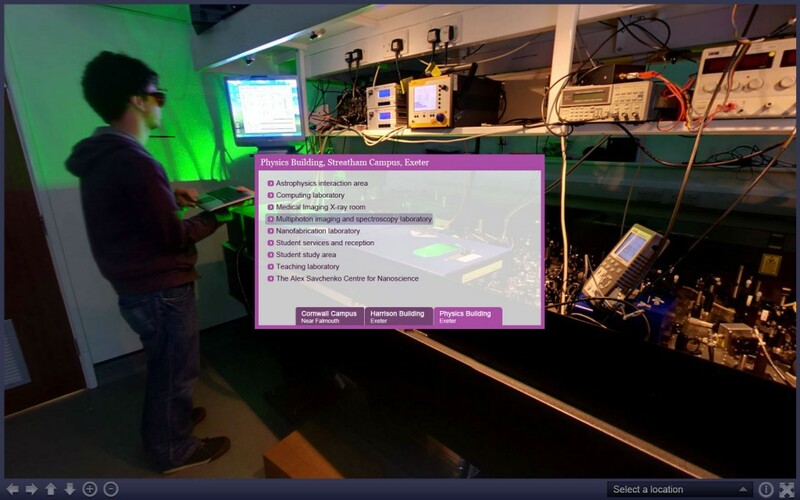 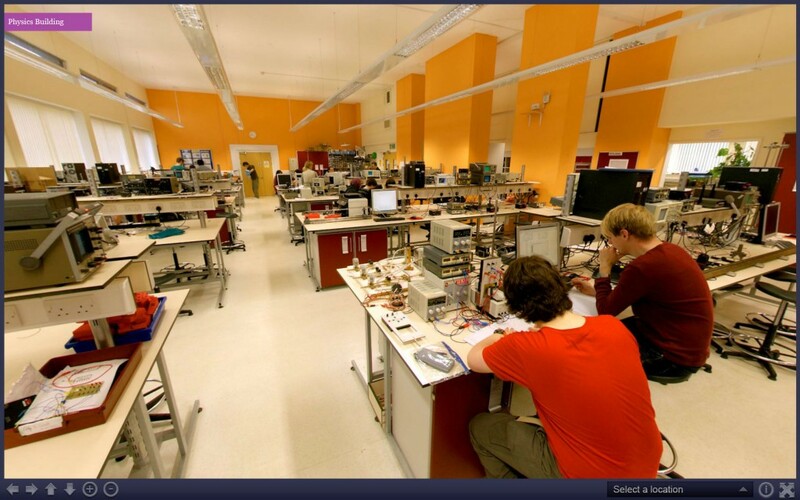 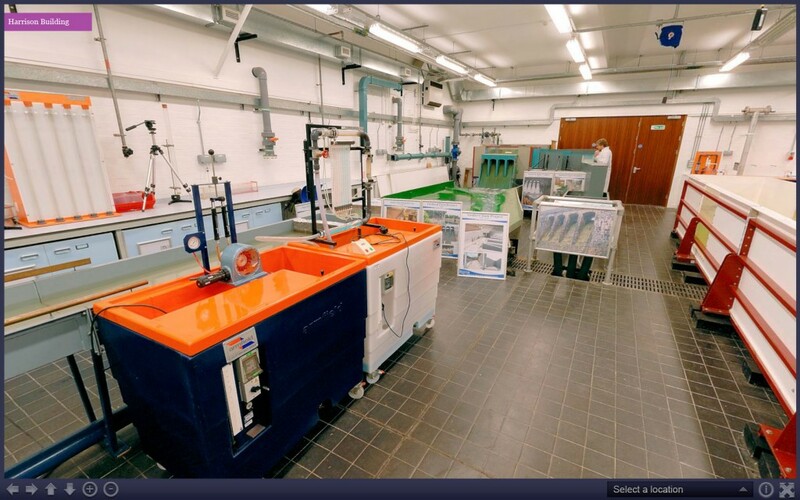 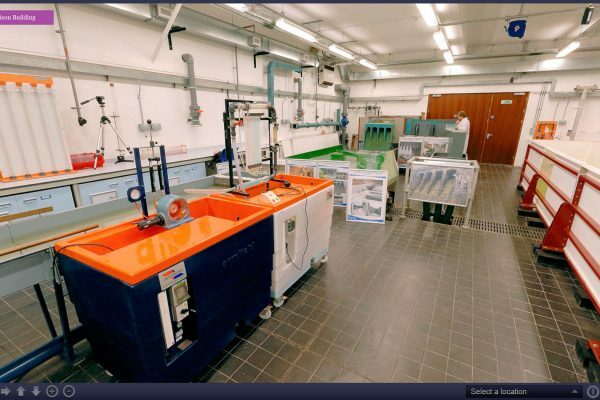 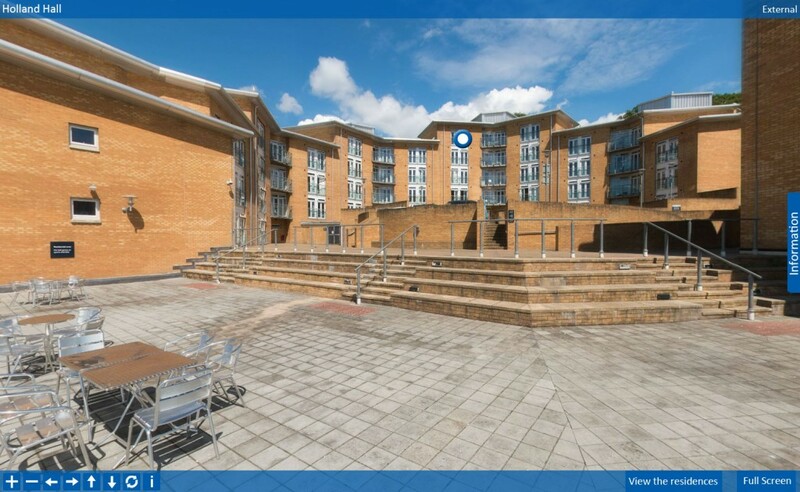 Virtual tour for the College of Engineering, Mathematics and Physical Sciences at the University of Exeter. 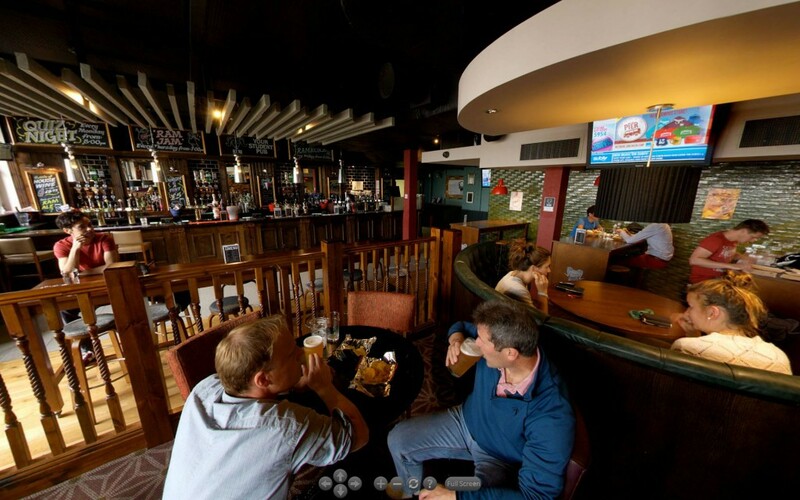 The 360vr images where first produced back in 2005 and have been added to each year. 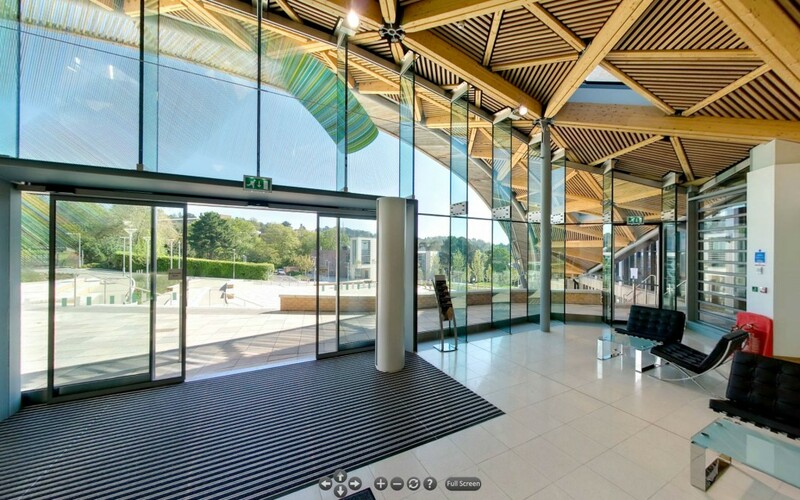 The large majority of the 360vr images have been produced by myself, though the earlier ones where produced by another photographer. 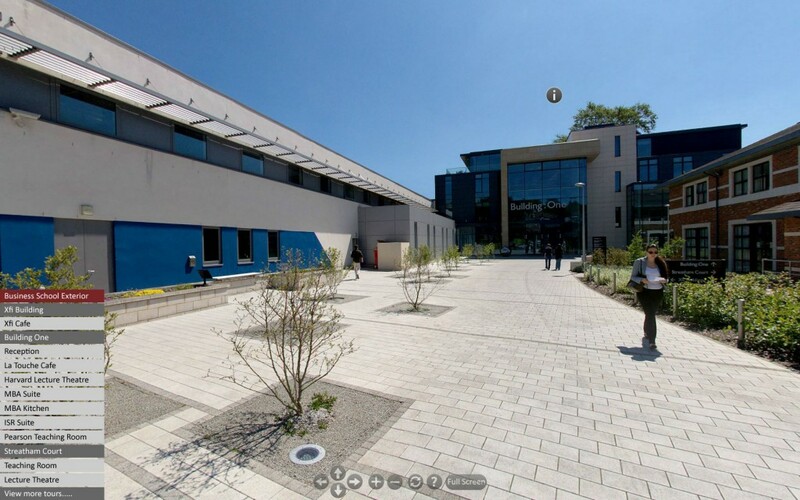 The virtual tour is split up in to three separate tours, one for the Camborne School of Mines, the Harrison Building and Physics. 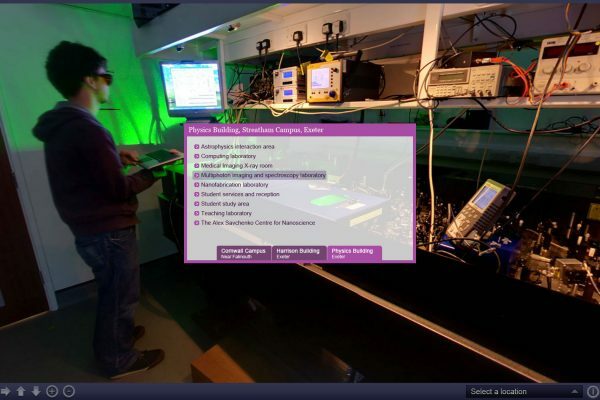 A dedicated skin was produced for each of the tours in both flash and HTML5, so a total of six skins. 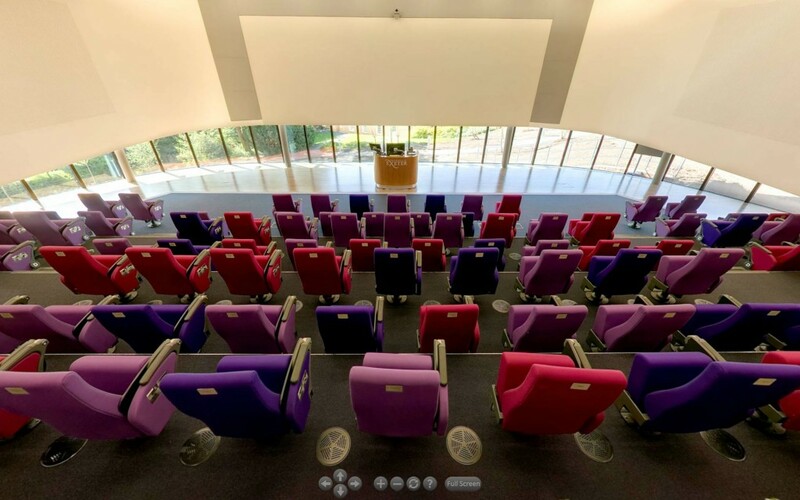 Each of the 360vr images required further information about the subject to be shown below the tour. 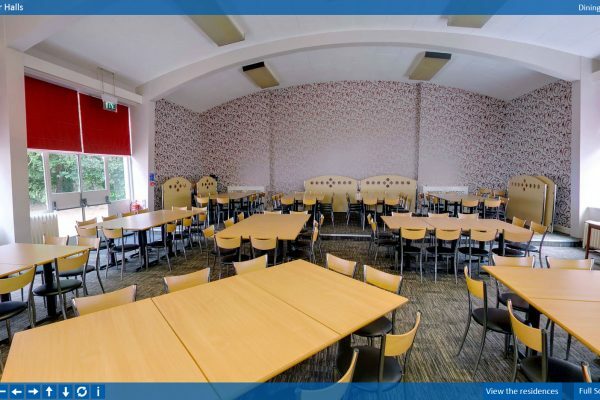 This was achieved by linking each of the 360vr images to an iframe which staff at the University could then update themselves. 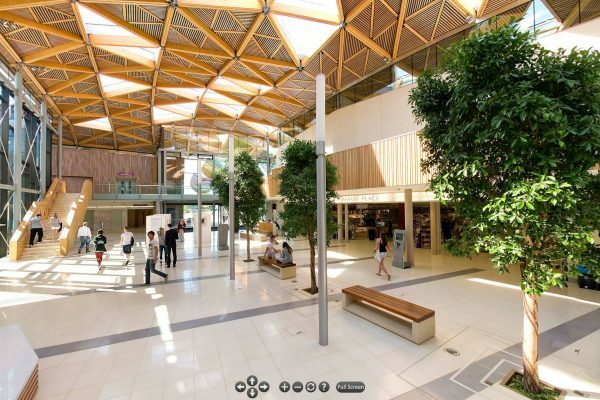 This ensured a smooth transition between the images while browsing the virtual tour. 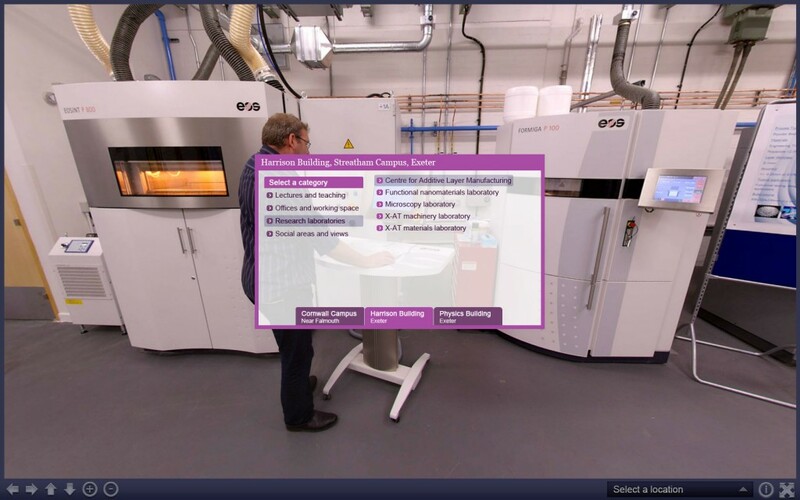 As the skins are quite complex careful planning and testing took place before I started work on them in insure it would work first time. 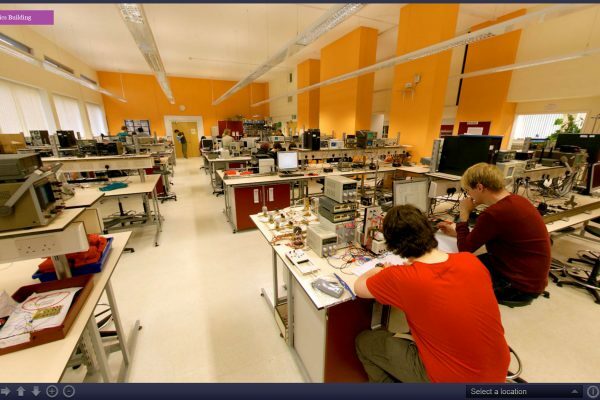 If I had not of done this I could have potentially spent a lot longer producing the skin files than I did. 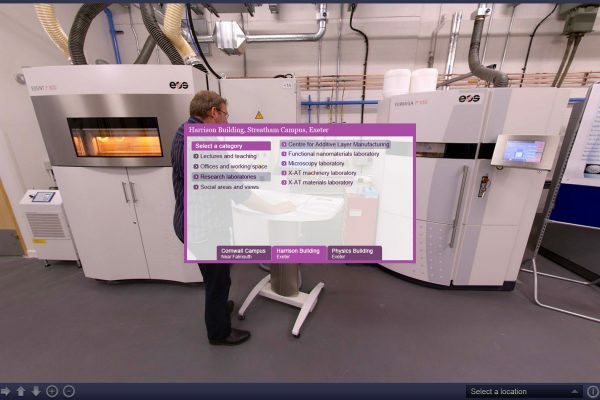 Even after the careful planning there were still a few things to iron out, fortunately this didn’t take to long and the virtual tour was a success. 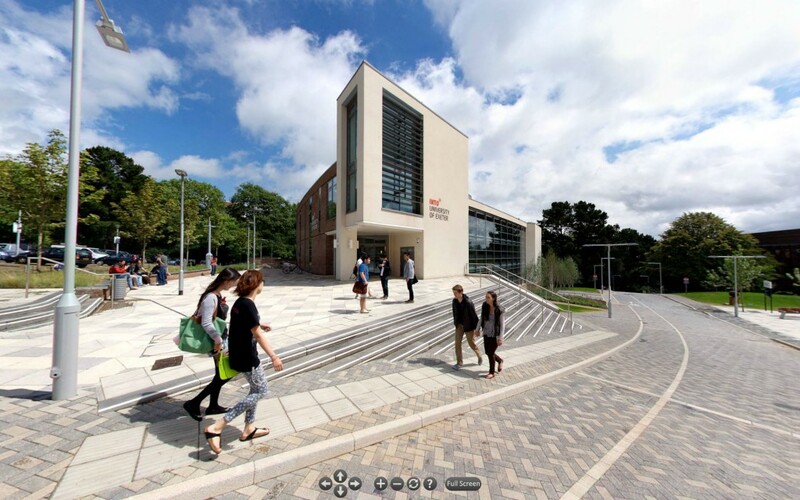 The tour was designed to work within the University of Exeter’s content management system so the following link will open up on the University of Exeter website. 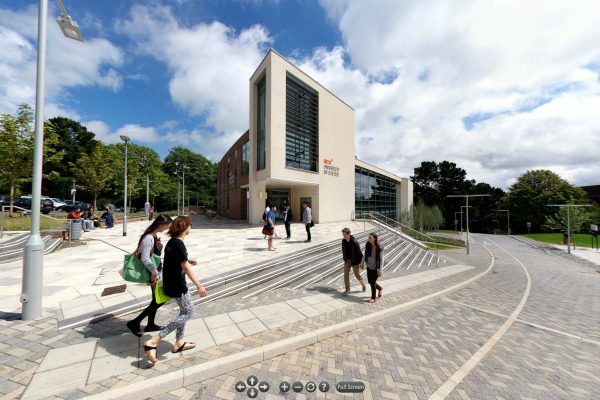 A Virtual Tour around the Business School at the University of Exeter. 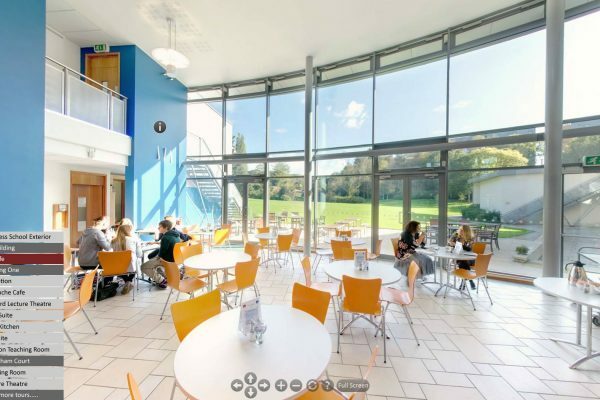 This tour is built from 11 scenes, including the school’s exterior, cafe, classrooms and social areas.